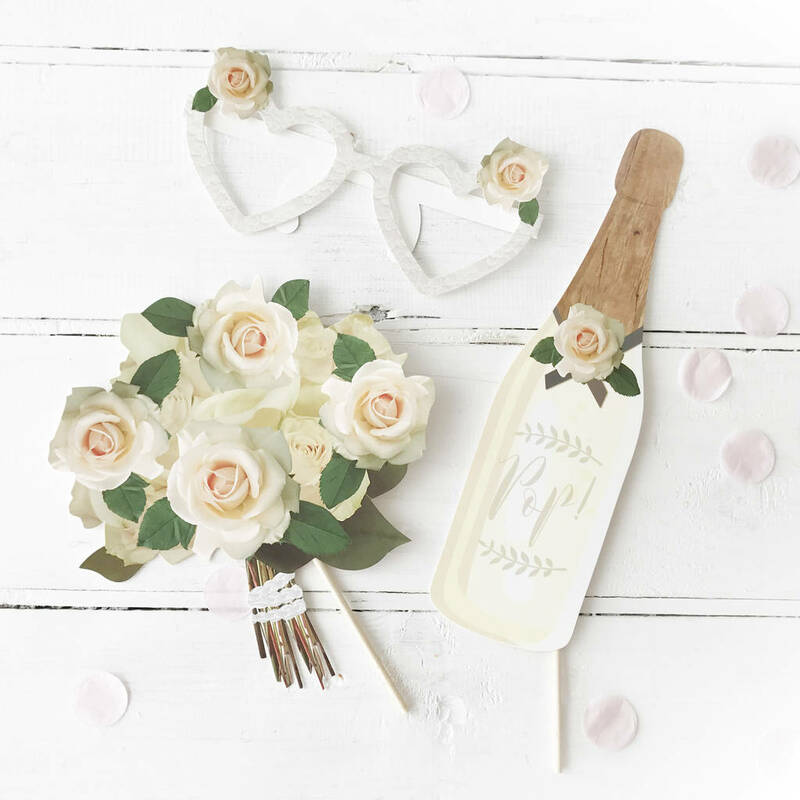 Make your wedding photos even more memorable with this set of fun wedding themed photo booth props, why not add a personalised engraved wooden prop! 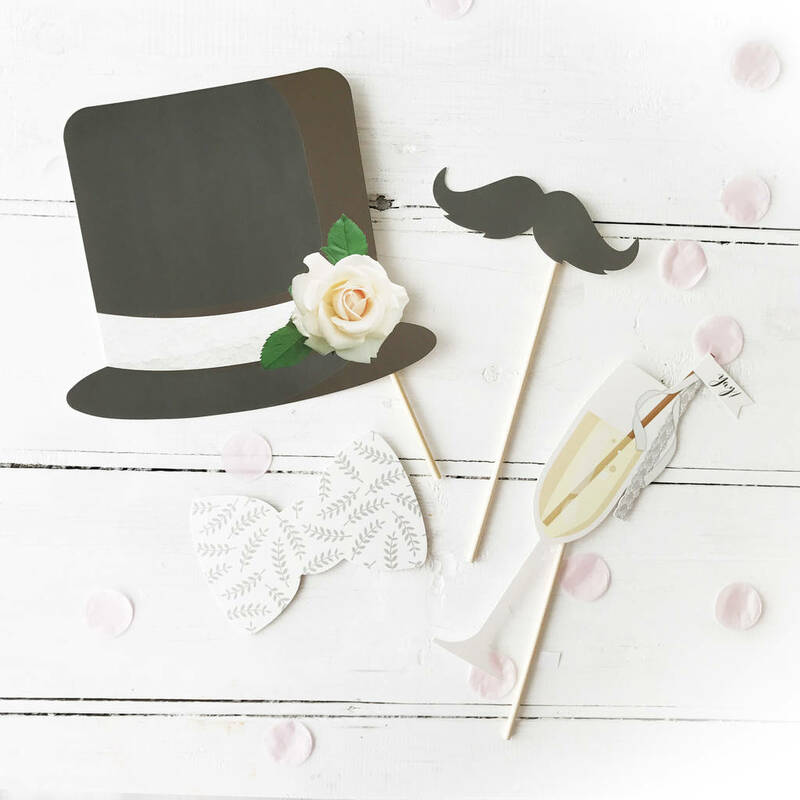 This set of Wedding themed photobooth props is the perfect addition to your big day to capture some alternative photos of your friends and family for the album. 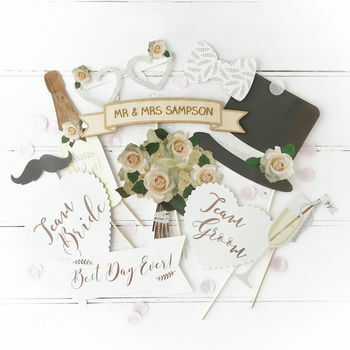 Each pack includes 1 x Rose Gold 'Team Bride' Sign, 1 x Rose Gold 'Team Groom' Sign, 1 x Bouquet of Flowers, 1 x Top Hat, 1 x Moustache, 1 x Bottle of Champagne, 1 x Glass of Fizz, 1 x Bow Tie, 1 x Rose Gold 'Best Day Ever' Arrow Sign and 1 x Heart Shaped Glasses. 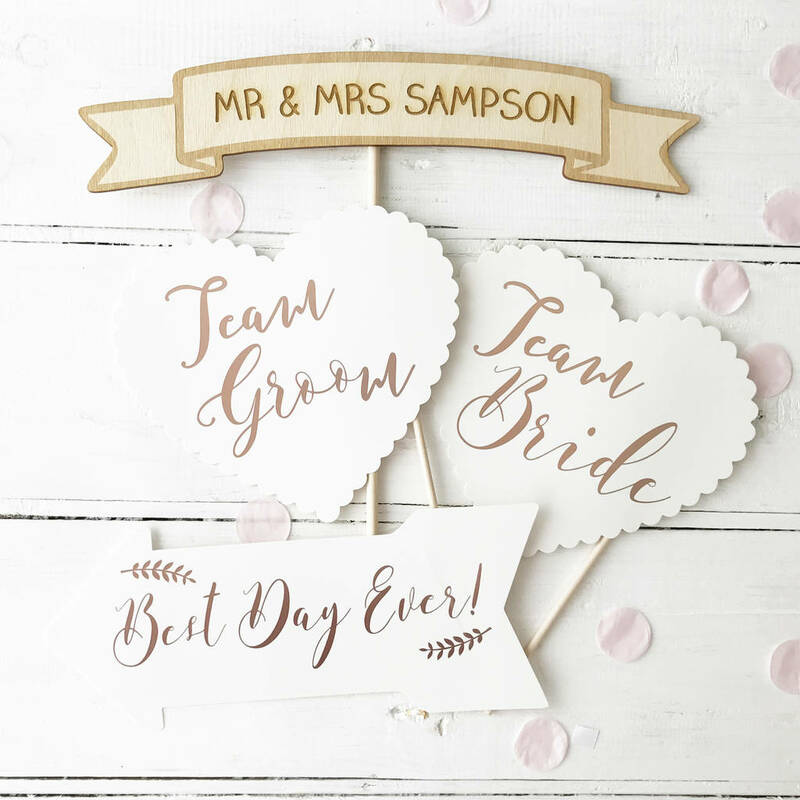 If selected, the engraved wooden prop is made from 3mm plywood and is the perfect keepsake long after the big day.